Sid & Marty Kroft's 1970's campy superhero duo, Electra Woman a& Dyna Girl, are getting a rebirth thanks to Legendary Digital Media and Fullscreen. 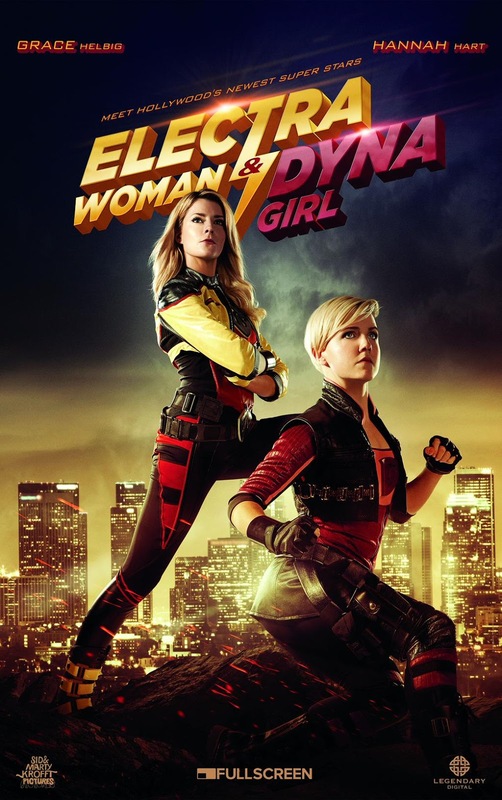 The web series stars Grace Helbig and Hannah Hart as the titular heroes who move from Akron to Los Angeles in hopes of making it big amid a competitive world of vigilantes. An official poster was just released and the two stars announced via video they'll be at the San Diego Comic-Con this year. They'll be joined by Sid & Marty too.